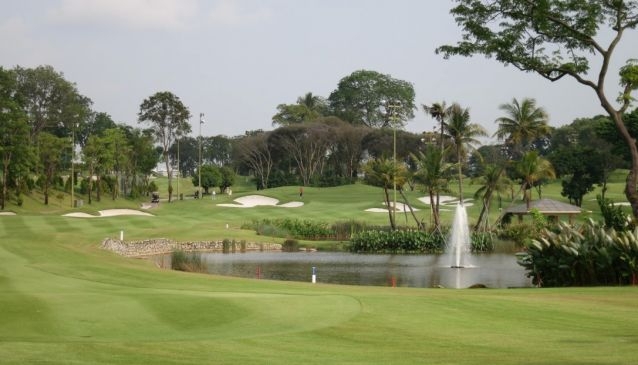 Located near the Chinese and Japanese Garden and the Science Centre, Jurong Country Club offers a 18-hole championship course, par 72, which has a challenging but fair layout with two quite distinct nines - one undulating and rather compact, and the other relatively flat and generous in area. It was designed by Frank Pennick and refurbished by E & G Parslow. Course length: 6,221 / 5,867 / 5,172 metres (Blue/White/Red). The club also offers multiple facilities beyond golfing such as Banquet & Conference rooms, Billiards, Bowling, Fitness centre, Driving Range, Golf Academy, Locker Rooms & Shower, Pro Shop, Squash, Swimming,Tennis and 5 restaurants. Only members and their guests are allowed to the club.